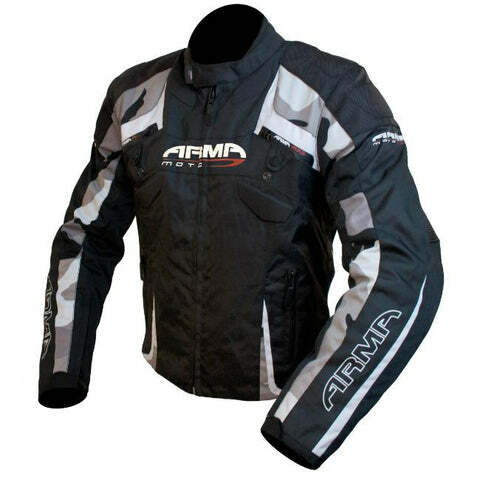 As pioneers of stylish motorcycle clothing at affordable prices, the name ARMR is seen as a newcomer to the riding gear world. 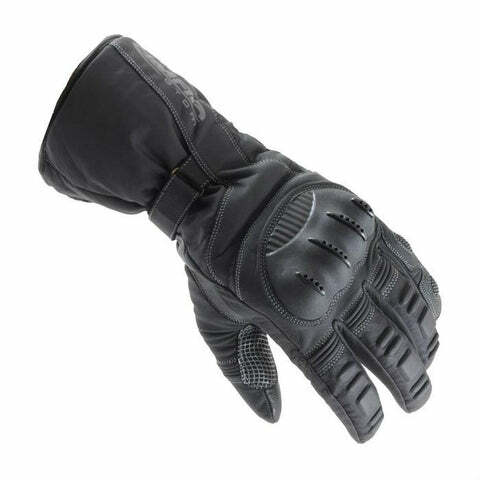 But the 30+ years of expert experience in their design team shows in the quality, stylish, and durable product range that stretches across all the areas of motorcycling. Sticking close to their ‘battle ready’ slogan ARMR Moto believe in reliable protection that prepares you for whatever the lies in the road ahead. 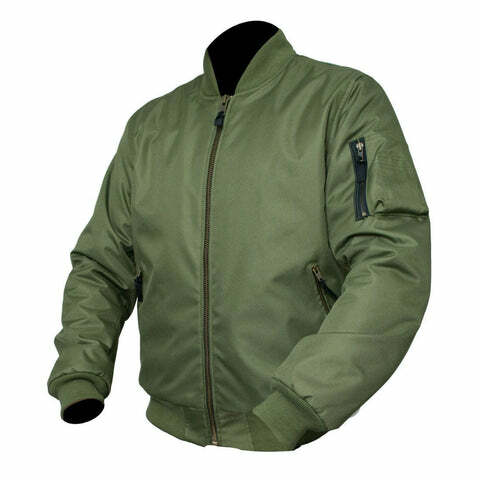 Keeping with the ARMR Moto belief of bringing clothing that suits your personal style the Aramid Bomber jacket is no different. 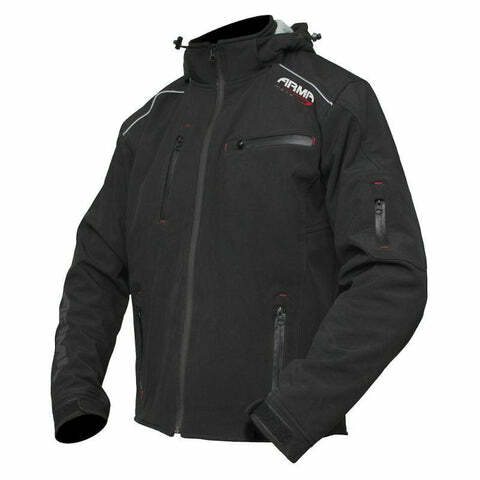 A casual looking jacket that not only looks the part but performs like any other protective jacket. 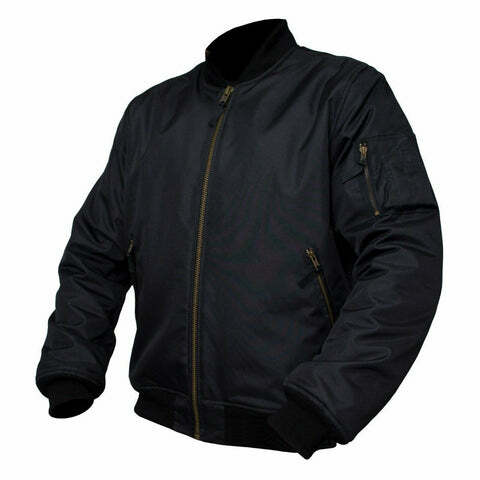 The Bomber jacket has been designed to hide the bulk that usually comes with motorcycle jackets and make this a piece of kit that you can really wear once you get off the bike without telling everyone that you ride a motorbike. Even with a stylish appearance there's no compromise on safety with a heavy duty 280 GSM aramid lining throughout the jacket that protects you in a slide, and brass YKK zips that not only keep the jacket on your body but improve the durability of the jacket overall. Included in this understated Bomber is CE approved armour in the elbows and shoulders with an integrated pocket for additional back protectors if you wanted to add one. Just like a fashion bomber jacket the ARMR jacket is prepared for any weather you ride in thanks to a strong polyester outer, and REISSA waterproof and breathable internal line. A quilted thermal liner is built in to provide the warmth on those colder days. 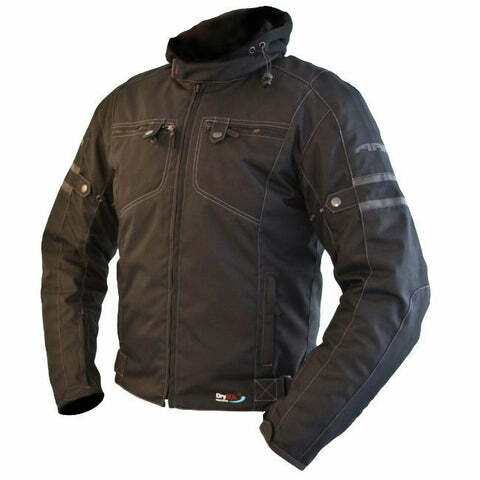 With all this protection and style all in one casual jacket it is an essential piece of kit for any urban rider. Protective motorcycle clothing has never looked so good. 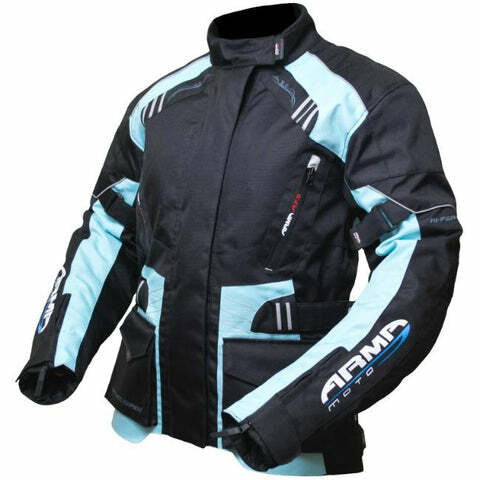 As pioneers of stylish motorcycle clothing at affordable prices, the name ARMR is seen as a newcomer to the riding gear world. 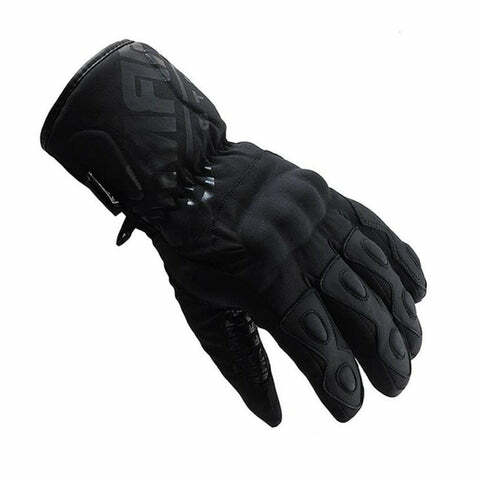 But the 30+ years of expert experience in their design team shows in the quality, stylish, and durable product range that stretches across all the areas of motorcycling. 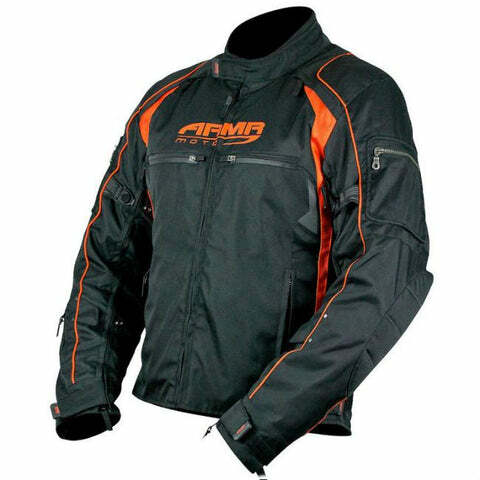 Sticking close to their ‘battle ready’ slogan ARMR Moto believe in reliable protection that prepares you for whatever the lies in the road ahead, while their appreciation for the personal style of each rider drives them to develop better looking & performing motorcycle clothing. The Sukuta is a cool alternative to a normal textile jacket if you want something protective, insulating, and casual enough to wear off the bike. Just like your normal soft shell jacket the Sukuta is showerproof & warm which makes it the perfect jacket for those cold & wet rides across town. 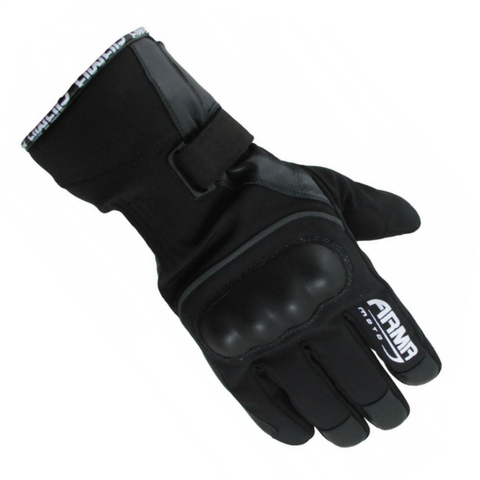 Height Adjustable C.E Certified Elbow Protectors included. ARMR Moto's aramid clothing range continues with the Ace Mens motorcycle jeans, featuring durable denim and aramid lining in high risk areas of the jeans. 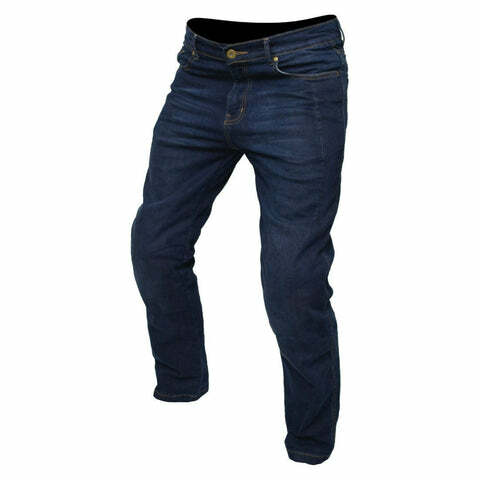 Supplied with the jeans is a pair of CE approved Knee protectors that are fitted in a height adjustable internal pocket to keep them secure and steady so that they don't move away from your knee in the case of an impact. Thanks to stretch panels on the knee area keeping your legs bent in jeans while you ride is made a lot comfier and prevents cramps. 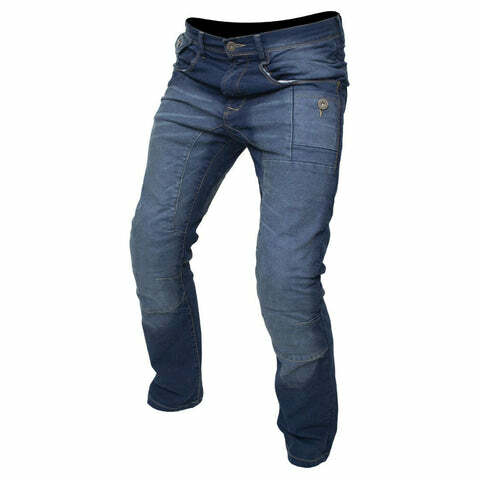 As with all jeans there are two useful front pockets along with a coin pocket, plus both zip and button closure. The perfect option for riders like you who like to wear their riding gear whilst off the bike without making it obvious that you ride. 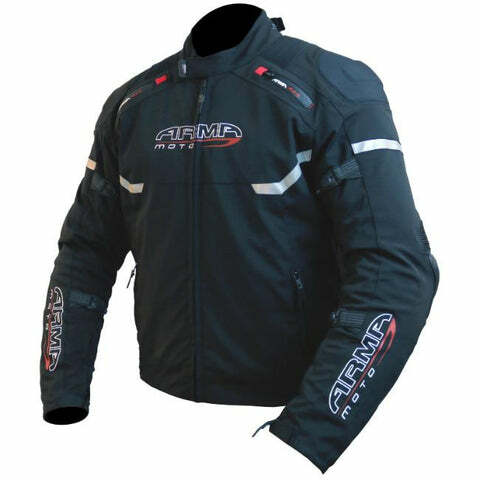 ARMR's Azai is a incomparable textile jacket that is hard to match at the price with any other jacket brand. Adjustable features throughout the jacket in the hem, arms, and elbows make it a snug fit no matter your body shape. Waterproof pockets on the front keep your electronics safe and with internal cable routing you can enjoy your earphones on the go without any worries. Looking for something that looks good on and off the bike? 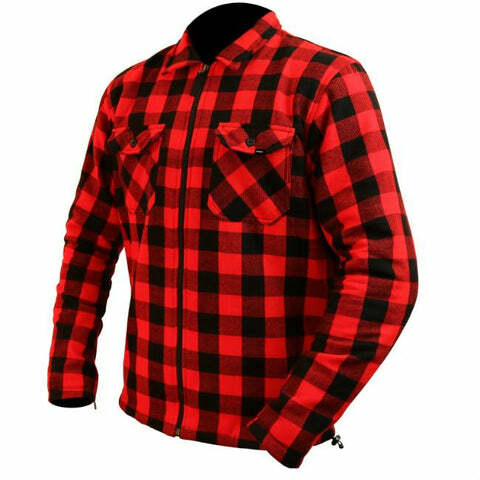 The ARMR Moto Aramid shirt is just that. 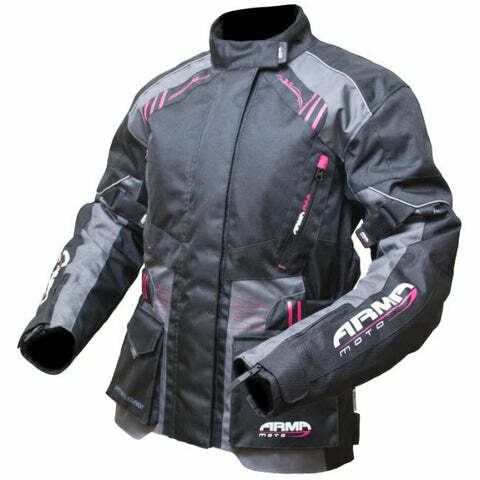 With a full Aramid lining the ARMR Moto shirt is designed for protection and style without compromise. 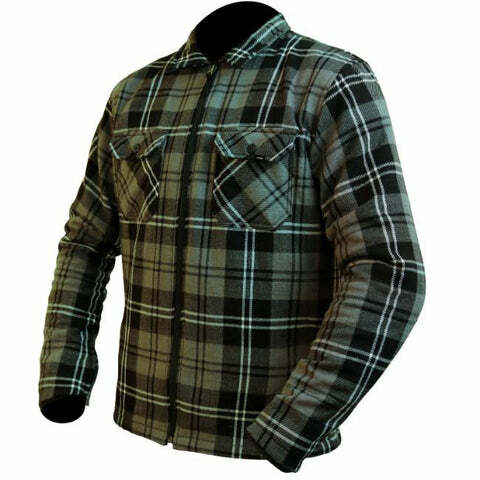 CE elbow and shoulder protectors sit inside the shirt to keep you safe, giving you the chance to pull over your favourite hoodie or jacket and ride anywhere in casual clothing that doubles up as motorbike gear. 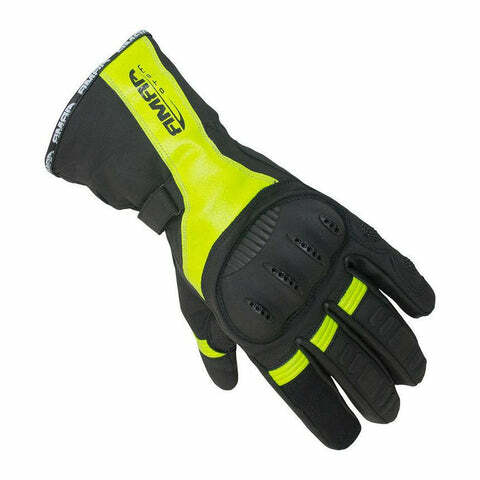 A waterproof glove that allows you to stay in control thanks to a slimline design which incorporates a waterproof, breathable liner for the wet rides. ARMR Moto's aramid clothing range continues with the Tron Mens motorcycle jeans, featuring durable denim and aramid lining in high risk areas of the jeans. The Tsuma in it's core is a textile jacket but with some major difference that make it one of the coolest jackets available for bikers who like to look casual. 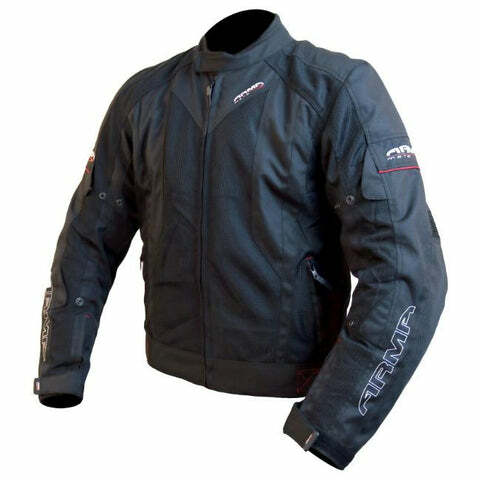 Built in to the body of the Tsuma jacket are all the normal features of an ARMR Moto jacket like a DryTek waterproof line and removable thermal line allowing you to control your internal climate. 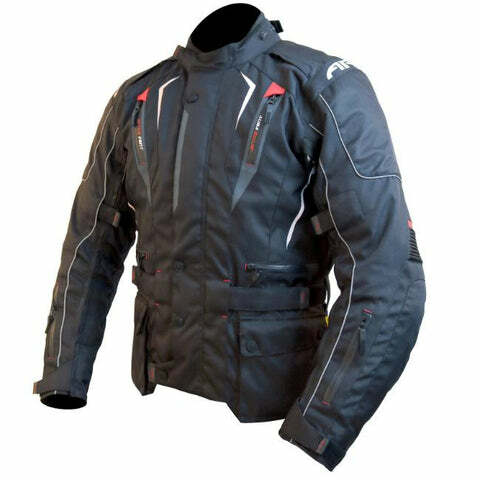 Add to this the height adjustable CE elbow and shoulder protectors and you have a durable textile jacket that's ready for whatever you or the weather throws at you. The unique part of the Tsuma is the detachable hood with toggle tighteners so you can wear your jacket off the bike without shouting that your biker, and feel comfortable walking around in your gear. Don't let cold, wet weather force you and the bike into the garage. 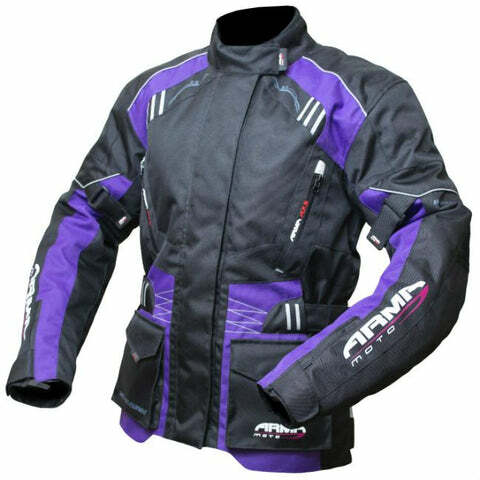 All weather jackets are hard to find at this price but the ARMR Moto Kumaji is an exception. A double thickness thermoline liner is enough to battle off the worst that winter can throw at you. ARMR's EFS (Exact Fit System) ensures no drafts can make it inside to sap out vital heat, with waist arms and neck thoroughly insulated. When the heavens open, the waterproof pockets keep your phone and valuables dry at all times while a full waterproof lining keeps you dry and warm. 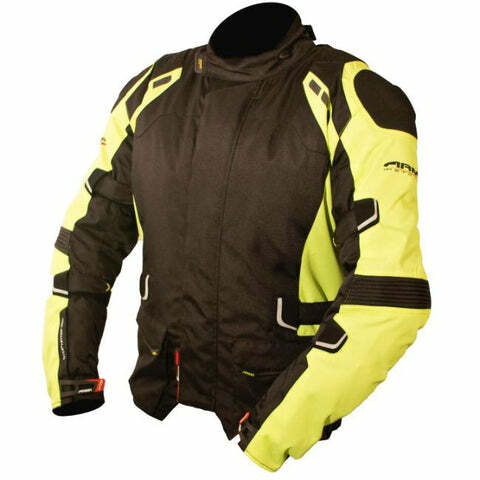 Elbow, back and shoulder protection is all CE certified and is fitted with YKK zips throughout. This jacket comes with Ride Magazine's seal of approval, and will keep you in good stead through the worst of the weather. 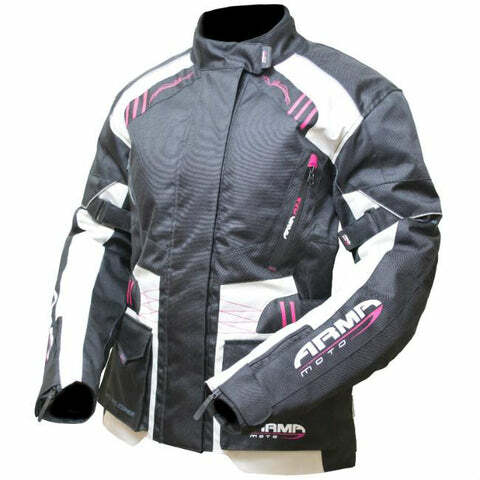 Eyoshi from ARMR Moto is a jacket that brings all the features you want together in one attractively designed jacket that'll keep any biker happy, safe and comfortable. 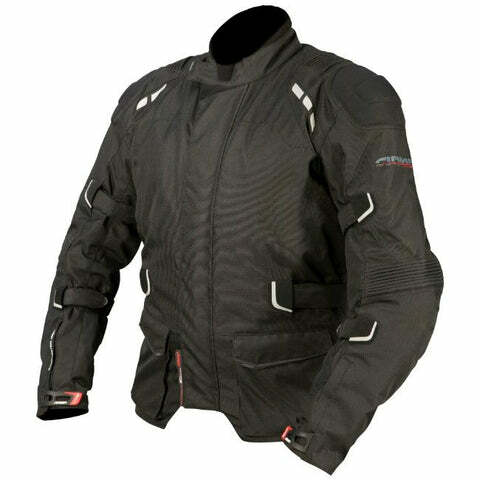 Height adjustable CE protection in the shoulders and elbows stay where you need them without sliding away, while the outer 600DN PolyTech fabric resists abrasion in the worst case scenario. Additional Scotchlite reflective detailing helps you stand out on the road and be seen. That's not all, as the Eyoshi jacket is also waterproof thanks to a DRY TEK breathable membrane, and outer storm flap front zip closure for those less than dry rides. The removable Thermoline liner keeps you warm when you really need it but can be left at home when you don't while you open up the vented zips to let the air flow. 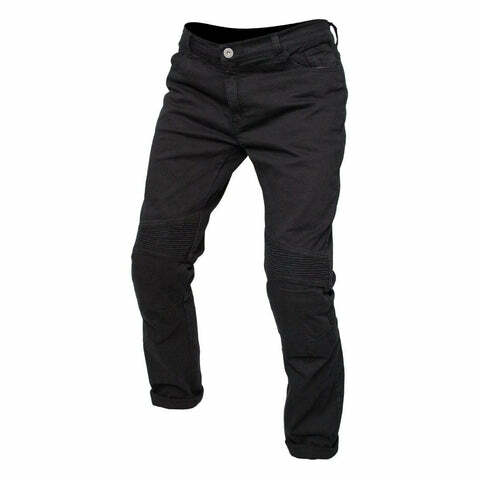 Pockets are everywhere including specialist waterproof pockets for your gadgets, plus stretch pannelling across the jackets give that perfect snug fit in any seating position. You probably won't find a better jacket for UK adventure riding at this price, with a massive list of spec plus a low key short design for everyday street riding. The Ukon feature internal thermal and waterproof liners with the option to remove the thermal lining when seasons change making it a great choice for all year round. Durability is key for adventure riding or touring so a tough 600DN material outer does a great job of prevent scuffs or bursts in a crash so you can rest assured your covered and focus on the road ahead. ARMR Moto's top adventure jacket the Tottori 2 is an updated, improved version of it's predecessor with a new style and feature list that makes the great value price even more attractive. Everything you need for a motorbike adventure is included with a DryTek waterproof membrane and exclusive ARMR Multi Season Liner system that gives you full control of your internal climate no matter what the one outside is doing. Taped seams throughout the jacket with a front zip storm flap keep the elements out and make the Tottori 2 a super durable jacket that is sure to keep you safe for 1000's of miles to come. The Osugi is ARMR Moto's secret weapon in the textile sports jacket range and you've never seen this type of spec at this price. Not every biker wants a leather jacket and the Osugi is the perfect alternative with super-tough abrasion resistance in case of a slide and external elbow sliders plus moulded shoulders for extra peace of mind so you can focus on the road ahead. The black shell utilises a heat deflecting technology to stop you getting too warm on your ride which is just one of the practical features of the Osugi. For everyday riding and commuting the Osugi packs in a waterproof liner and removable thermal liner so you're not only safe but can ride with relaxed comfort now matter what the weather throws at you. A touring style jacket that matches your ambition for the great adventure and keeps you within budget to make the adventure possible. Based on the standard design but with fitting improvements, colour options, and comfort that make it an unbeatable women's jacket. Kiso 2 is an updated, improved version of the previous design with some added extras like the ARMR Air Flow System for cooling in hot climates and TLS Triple Lock Seam Technology which makes for a super-durable jacket that can handle any terrain. A rear storage pocket for your map and other necessities along with 2 external waterproof pockets and a seperate waterproof wallet pocket mean your never short of storage and can keep all your gadgets safe along the way.